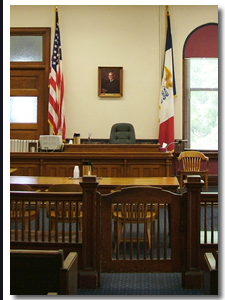 Contact an Iowa criminal defense lawyer representing clients in Waterloo, Iowa today to schedule your initial consultation. Answer: There are three main considerations. The first is that the case against an individual is sound. The law must be clearly defined, and there must be no defects such as a violation of the defendant’s constitutional rights or the destruction of evidence. The second is that there must be enough evidence against the defendant to make a conviction probable. The third consideration is whether the case matches the objectives of the prosecutor’s office. In some cases, a more informal resolution may be appropriate.